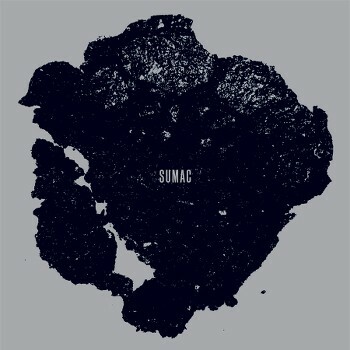 Formed in 2014, Sumac is a power trio comprised of guitarist/vocalist Aaron Turner (Old Man Gloom, Mamiffer, Isis), drummer Nick Yacyshyn (Baptists), and bassist Brian Cook (Russian Circles, Botch). Based on that lineup of musicians, the expectations for Sumac have been high, and their 2015 debut album, The Deal, didn't let down in that regard. What One Becomes builds on its predecessor's strengths while revealing an ever deeper level of layering in its arrangements. 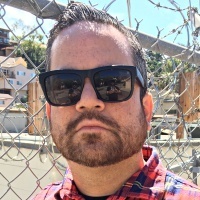 Songs like "Image of Control" and "Will to Reach" are journeys with peaks and valleys of dissonance, ambience, and death metal-like aggression. Turner's vocal delivery is raspier and more intense than ever. On the doomy sections, his vocalizing reminded me of John Alman of Winter on the hallowed Into Darkness album. But I can't stress enough how Sumac isn't a straight-up metal band. What One Becomes might even offer up more quieter and meditative moments than it does the harsh stuff. This is music for people with patience. You need to let the tracks take their course. Those who do will be rewarded.